This white laid writing paper can be used with a computer, or is lovely quality to hand write on. The folder wraps around and keeps your paper tidy when not in use. A watercolour painting of a group of poppies is printed on the top left hand corner. Perfect for all those poppy lovers out there. 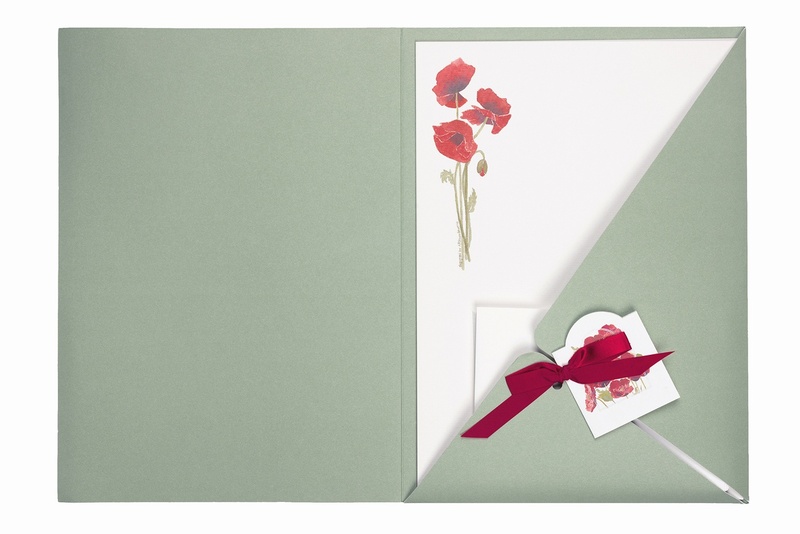 A stationery folder containing 10 sheets of A4 printed paper with a poppy design and 5 sheets plain white for continuation. The wallet also contains 10 envelopes and a gift card tied with a coordinating ribbon.